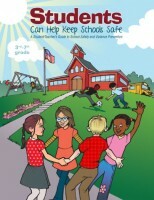 Students Can Help Keep Schools Safe is a school violence prevention book for students 3-8th grade. This book will teach students about what to do if they encounter an intruder in the building or know of student planning violence. Students Can Help Keep Schools Safe A Student’s/Teacher’s Guide to School Safety and Violence Prevention is a much-needed guide to promote school safety and violence prevention. 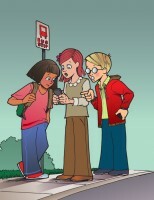 This book directs students on recognizing potential danger and preparation if such an event occurs. 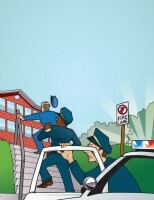 The book offers students a pro-active approach to violence prevention. As a supplement, staff members are supported by a teacher’s guide for educators, and bonus student journal section. Parents and educators will appreciate the simple, non-threatening language that creates a school safety message that every child must hear. This book has the potential to save many lives.